Content contained in this newsletter may have been previously published in prior issues of the QCC newsletter. This QCC Newsletter is your monthly National Nursing Home Quality Care Collaborative (NNHQCC) in Florida member update that provides information on the latest activities. 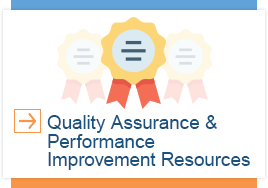 It is a quick reference for information on links to improvement tools, resources, news, best practices, and success stories. The latest version of the Long-Term Care Facility Resident Assessment Instrument (RAI) 3.0 User's Manual (v 1.16; October 2018) is available now! 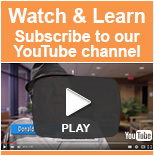 Have you Reviewed Your Nursing Home's Current Quality Measure Composite Score? The Quality Measure Composite Score, developed by the Centers for Medicare & Medicaid Services (CMS), comprises 13 long-stay measures and is an excellent "barometer" of your facility's performance. The CMS goal is for nursing homes to achieve a Composite Score of 6 percent or less. For more information, please read the NNHQCC Quality Measure Composite Score handout at https://goo.gl/5KVRj5 . Given the Composite Score data is always six months old, the best way to access more recent Quality Measure data is at your fingertips through the MDS 3.0 CASPER Report. Target assessment is an admission assessment or a Prospective Payment System (PPS), 5-day, or readmissions assessment. Assessment indicates indwelling catheter status is missing. Assessment shows resident has a diagnosis of neurogenic bladder and/or obstruction and these diagnoses are coded on the Minimum Data Set (MDS). Learn more about the calculation of this QM on page 34 of the Minimum Data Set (MDS) 3.0 Quality Measures User's Manual (v11.0 04-01-2017). Was the MDS coded per Resident Assessment Instrument requirements? Did the resident have a diagnosis of neurogenic bladder and/or obstruction and was this coded on the MDS? Is it possible to complete post-void residuals or straight catheterization to eliminate the use of the indwelling catheter? Additionally, PIP teams must ensure their goal to lower the use of indwelling catheter is clearly communicated and involves all staff members, residents, and families. For more information, review the MDS 3.0 Resident Assessment Instrument (RAI) Manual guidelines for indwelling catheters. Need to be addressed now. Carry the most importance to your residents, facility, and staff members. Are "low-hanging fruit" and can be quickly and simply rectified. Include people who bring different but equally important perspectives to the table. Include anyone from department heads to nurse aides to residents. Involve individuals who have expertise, knowledge, and/or background that make them important members of the PIP team. For more information on this topic, read page 16 of QAPI at a Glance . Prioritization Worksheets for PIPs contained in the QAPI: An Electronic Resource Library electronic workbook on the HSAG website at https://goo.gl/BxVcFA . Care coordination resources aim to improve transitions of care and lower unnecessary hospital readmissions. Learn more. These resources will help you improve infection control practices and outcomes in your facility . Learn more. 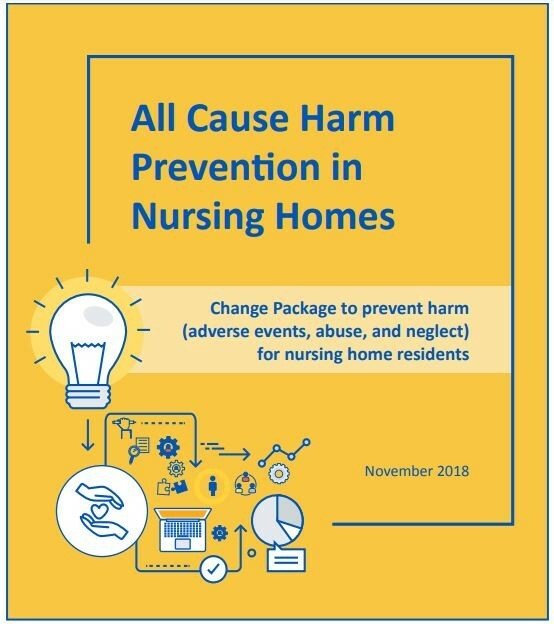 In addition to the NNHQCC Change Package v2.2., the Centers for Medicare & Medicaid Services (CMS) has just released an important new resource: All Cause Harm Prevention in Nursing Homes Change Package. This package is a compendium of successful practices of high performing nursing homes, illustrating how they prevent harm while honoring each resident's rights and preferences. This material was prepared by Health Services Advisory Group, the Medicare Quality Innovation Network-Quality Improvement Organization for Arizona, California, Florida, Ohio, and the U.S. Virgin Islands, under contract with the Centers for Medicare & Medicaid Services (CMS), an agency of the U.S. Department of Health and Human Services. The contents presented do not necessarily reflect CMS policy. Publication No.